This is not the first time that a boxing programme in Nadi was stopped due to the lack of proper organisation and in return the fans are the biggest losers. Boxing fans need to get a fair deal, for their money’s worth. 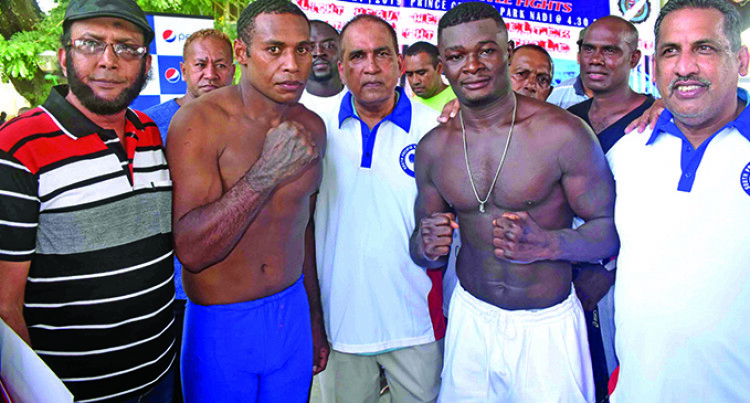 But, unfortunately they returned home disappointed after getting a snippet of what they paid $40 and $20 for in the South Pacific Boxing Promotions pro- gramme at Prince Charles Park, Nadi on Saturday. feature fight of the evening was called off. The light heavyweight title fight between Savenaca Naliva and Joseph Kwadjo was stopped in the sixth round by the Boxing Commission of Fiji because of the slippery canvas. Firstly, the fight had to be stopped in the second round after verbal exchanges between the two camps ended in a brawl and Police were called in to restore calm before the fight resumed. And more drama ensued with Kwadjo hitting the deck six times every time he threw a punch. The boxers had to take off their boxing shoes to fight barefoot hoping it would improve their movement around the ring. But it got worse. Both struggled to get a grip, but eventually the fight had to be stopped. The whole saga accurately reflects the status of the sport today: Lots of hype and marketing stunts, but a poor end-product with no sign of progress. It’s now becoming a norm with organisers always at- tributing their failures to unforeseen circumstances, not giving a thought on the trouble fans go through to watch the fight. On Saturday they were at it again blaming the hot weather for the slippery canvas, which was imported from China. BCF board member Usman Ali said, “We were not in control of the unforeseen circumstances, reason being because of the hot weather. This is probably the first time that boxers have been told to take off their shoes in Fiji and it shows how the sport is managed in the country. We applaud the relevant stakeholders who are doing a lot to revive the sport. But, at the same time we need proper people to run the sport. It seems even the BCF, the controlling body of the sport in the country, has been taken in a spin when they should be the asserting authority. Sports Minister Parveen Bala is demanding answers from BCF and the relevant stakeholders. The sport needs a shake up. As in other sports, fans pay their way in and expect to get entertainment in return. Denying them their right to enjoy will not augur well for the sport in the long run.